Crispin is a café and restaurant located in Spitalfields, serving breakfast, brunch, lunch and dinner. We also serve speciality coffee, low-intervention wines, cocktails and beer on tap. Crispin is brought to you from the team behind Scotchtails, the cult Borough Market based scotch egg company and Lundenwic – a speciality coffee shop on Aldwych. The glass and zinc pavilion is located on White’s Row, Spitalfields, on the junction with Crispin Street. We have seating for 40 inside and 30 on the outdoor terrace. 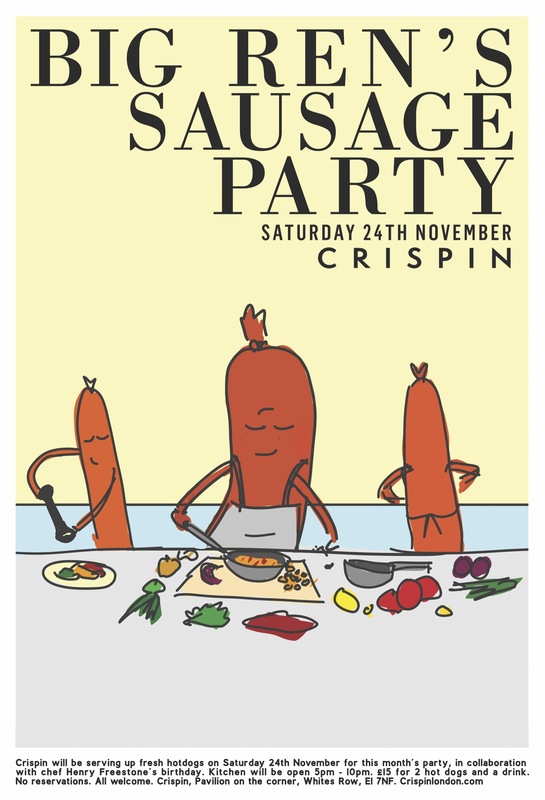 Email bookings@crispinlondon.com to book a table. We partner with Assembly Roast to offer their house espresso, as well as rotating guest filters from roasteries such as Dark Arts and Square Mile. The Assembly Espresso, as always, aims to create a versatile drink, expressing clean sweetness with balanced body and mouthfeel. Working with Fernando Berry of Otros Vinos, we offer a concise but regularly rotating wine list of low-intervention bottles from around the world. Wine is be sold by the glass on rotation. Cocktails are also available along with a lager and pale ale on tap. 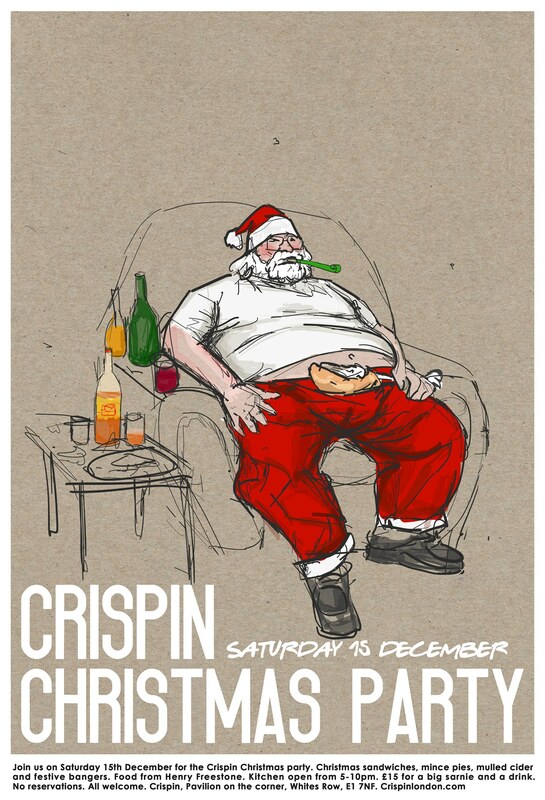 Looking forward to welcoming you all to the inaugural CRISPMAS party on Saturday 15th December. More details here! 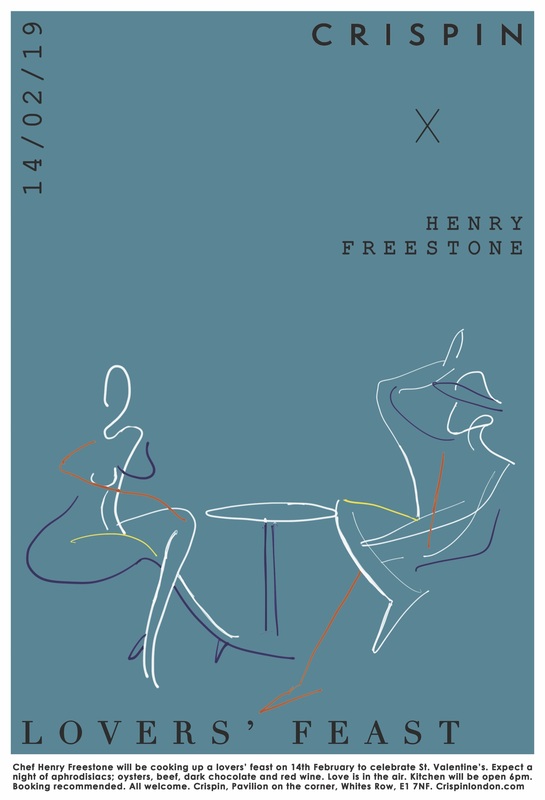 We host 3 of our favourite wine makers who will be pouring their drinks by the glass, alongside food by Henry Freestone. 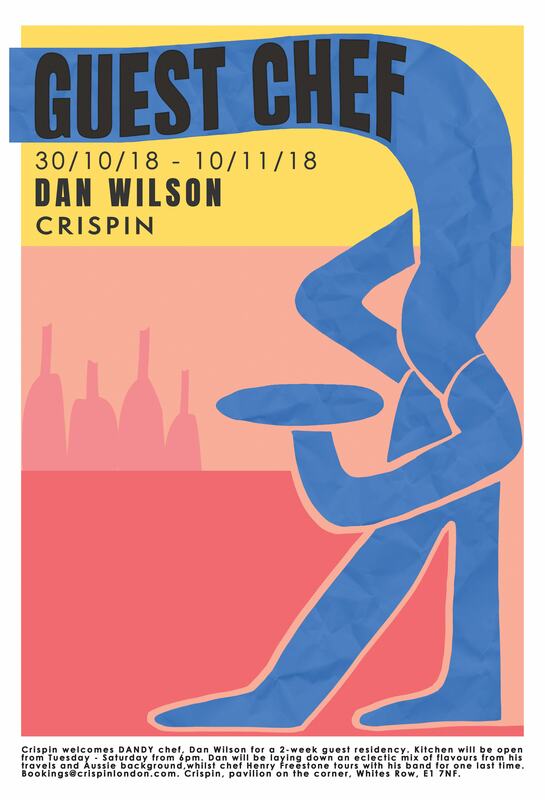 Crispin welcomes DANDY chef, Dan Wilson for a 2-week guest residency. Kitchen will be open from Tuesday 30/10 - Saturday 10/11 from 6pm. 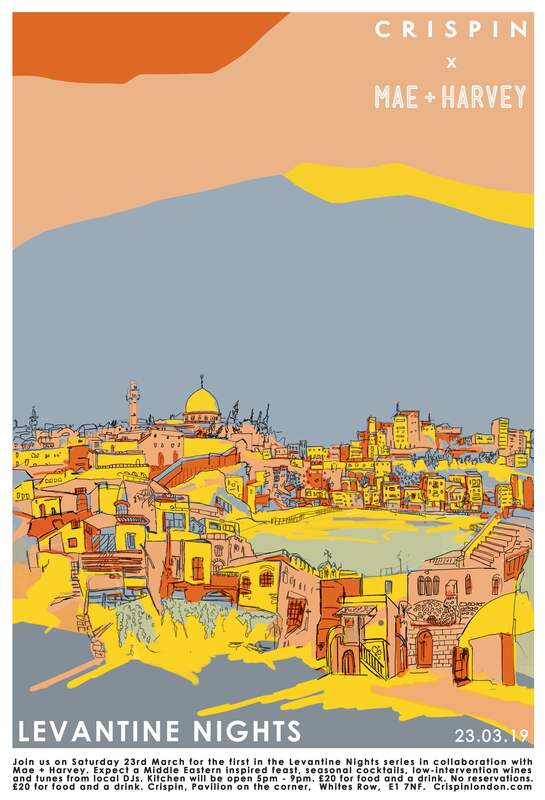 Dan will be laying down an eclectic mix of flavours from his travels and Aussie background, while chef Henry Freestone tours with his band for one last time. 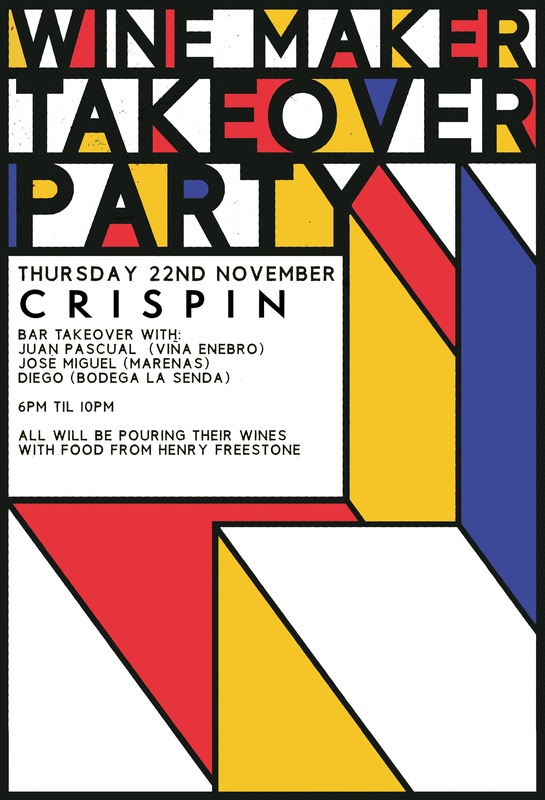 Bookings@crispinlondon.com! 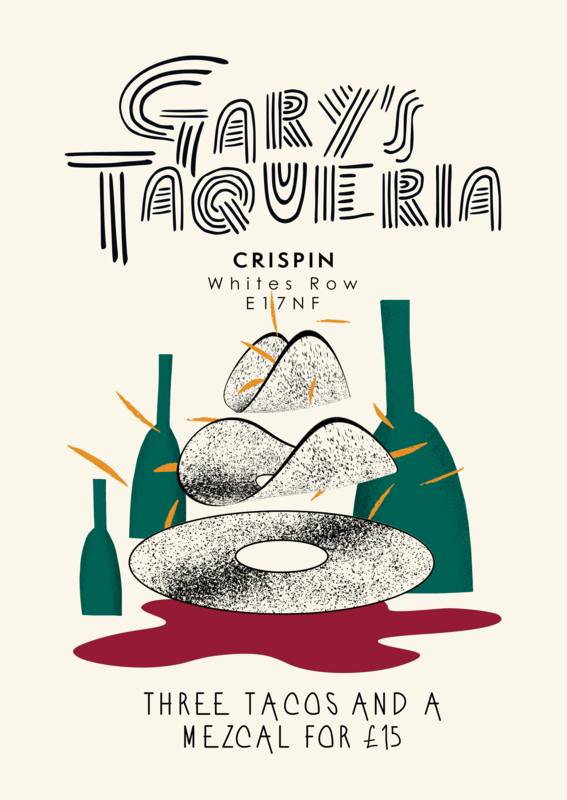 In collaboration with guest chef Gary Trueman, we invite you to Gary’s Taqueria: a night of tacos, music, mezcal + wines. ‍ For one night only we are transforming the kitchen into a taco hatch. Providing home made tacos, exciting flavours and music from the Middle East selector DJ Waitrose. Book out the whole or half of our space for private events/ dinners. We can host up to 65 standing and 32 seated guests on one table for food and drinks. 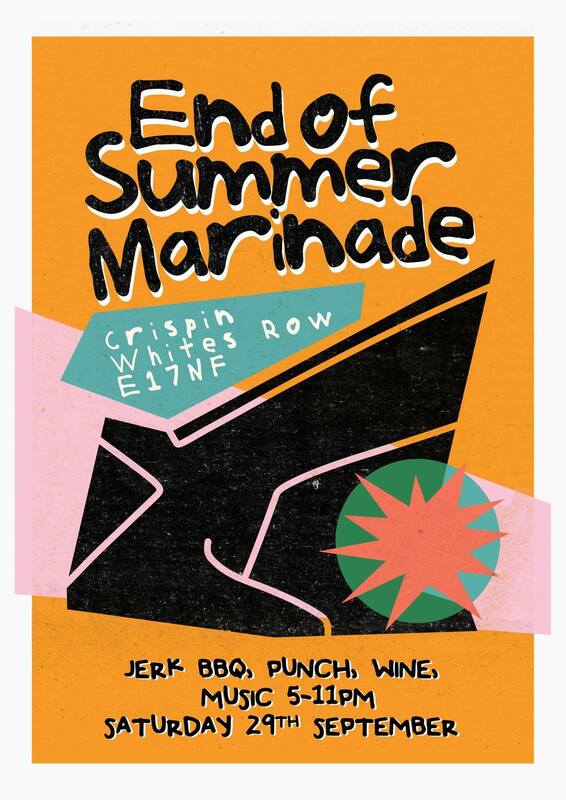 Dinner reservations can be made by either emailing bookings@crispinlondon.com or through OpenTable. If the time you want isn't available then feel free to come along anyway and we will get you seated as soon as possible. Walk-ins only during the day Monday-Sunday, so if you're coming for breakfast, brunch or lunch, just turn up and you will get a table.